Finished the Road, on to Wastelands? 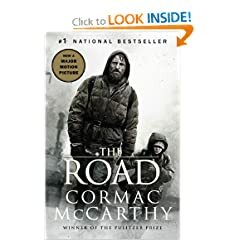 Well, the same day that I posted, The Road by Cormac McCarthy, I finished the book. I stayed up till 2am because I couldn't stop reading. Also, it too me a little longer than it normally would have because I kept having to get up to check on my two sons. Not because they were restless but because the relationship between the father and the son, in The Road, got to me that much. This book might be one of the most realistic portrayals of the apocalypse that has even been written (or filmed, for that matter). And, that realism hurts. The tension and foreboding never let up and I found myself having to pause and take a breath. I won't give anything away (surprise, surprise, I used to be the spoiler king! ), but if you have children, expect The Road to really get to you. Next thing you know, you'll be building bomb shelters and protective force fields in your backyard. Just because you will never want to have your children to have to go through any of that nightmare. Ugh. So, now I need some post-apocalyptic, but somehow more light-hearted. 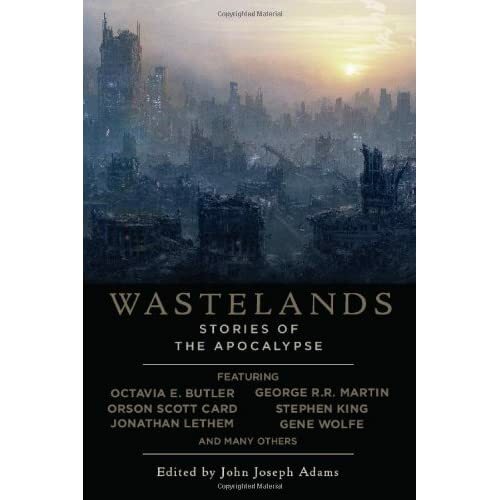 I did a brief look around and found Wastelands: Stories of the Apocalypse. Has anyone read this collection? Posted on November 27, 2009 April 30, 2010 Categories Apocalypse BooksTags Apocalypse Books, the road, wastelands6 Comments on Finished the Road, on to Wastelands? Ok. So, I realize that in my post Oryx and Crake (maybe I should start reading?) I somewhat promised to start on Oryx and Crake as my next book (hopefully becoming a string on post-apocalyptic books to be consumed by yours truly). Well, here's what happened. I've been traveling for a few days (nothing fun, just stupid work) and I was without a book the entire time. So, when I got home on Saturday, I devoured the rest of Blue Mars and suddently found myself without a book. I read just about every night and whenever I can throughout the day, so to be without a book is something I couldn't tolerate, especially because I'd spent 3 days traveling in just such a predicament. Well, Oryx and Crake was going to have to wait (because I haven't gotten it yet) but I didn't want to let down my post-apocalyptic buddies by starting another Hugo-award-winning sci-fi book. Then I found a copy of "The Road" by Cormac McCarthy that someone must have given to me as a gift. I've been pretty excited to see this film ever since I first got a glimpse of the trailer. Anyway, has anyone seen the movie yet? How does it compare? I don't mind if it can't capture the book (people need to quit bitching about that, it's virtually impossible anyway). But, does it stand up on its own?